Long time, no talk, friends! Hopefully my extended absence makes a little more sense as we so joyfully announce that we will become a family of three this September! We feel immensely blessed to finally be able to share this exciting news with so many of you. 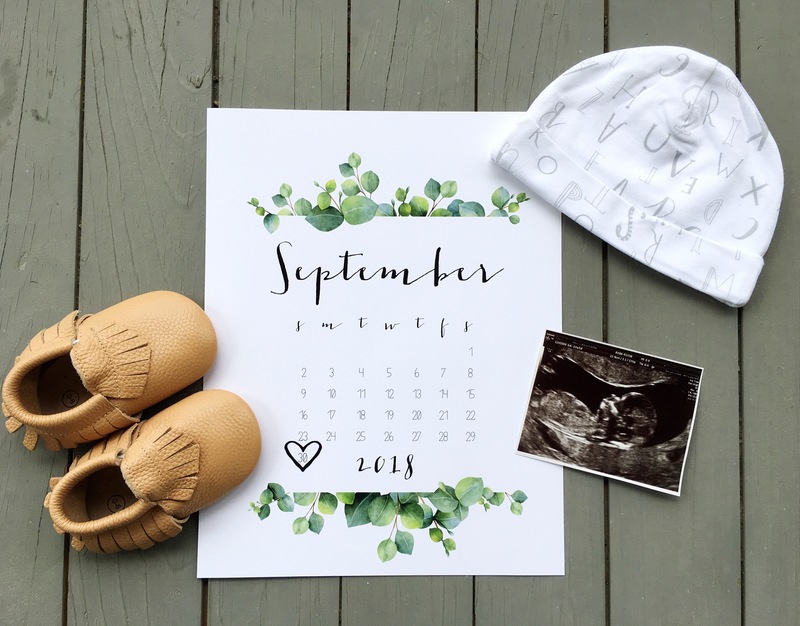 The storied troubles of the first trimester definitely came to life for me, which is why I have struggled to post on here since January. BUT, I am so happy to report that I am finally feeling like a human again, and it has been an ongoing prayer of mine for the Lord to give me the strength to sit down and write again. As promised, I wanted to give you all just the slightest snapshot of the feelings and emotions that have come along with this beautiful gift, along with what God has so graciously shown us through these beginning stages. Many times in my life, I have struggled to really see some of life’s most beautiful images within the context of God’s magnificent work: the picturesque view at the top of a mountain, the brilliance behind a perfectly composed piece of art, etc. But the Lord creating a new life inside of me and using me as a vessel to grow this precious, tender little soul? The power and awe is not lost on me, even in its ‘beyond comprehension’ nature. Even now as I continue to gain back my energy and feel better, the importance of that prayer has remained with me — in complete transparency, I have lost sleep at night thinking about the stresses of parenthood, from lack of sleep to the weight of ensuring that this helpless, fully dependent child is safe, healthy, and cared for completely. And the prayer is the same: Lord, please sustain me. Sustain me through the pressures of being a mom, through the sleepless nights and short tempers. Sustain me through uncertainty and fear; sustain me when my game plan for the future takes a turn. Please sustain me. Please sustain our family. Please sustain our child. And wow, does God deliver when we ask Him to take over. He has been so gracious to us, and blessed us far beyond what we could ever deserve. And having the opportunity to publicly announce and celebrate this pregnancy right around Easter has only made it sweeter. The most eloquent way I could articulate it is by citing one of my favorite worship songs, How He Loves: if His grace is an ocean, we’re all sinking. I just want to acknowledge before closing out this post that I know there are some of you reading this who may be heartbroken as you are reminded of your own struggle to conceive, or a growing life that was lost far too soon, or just the desire to be at a point in your life where you’re able to experience this. I’ve been praying for weeks about this post and how to share this news while also knowing that your story is out there and just as important, special, and worthy of attention. I’ve prayed that God would speak through me in every word of this post to provide you with comfort and hope and most importantly, a clearer picture of Him. Firstly, I want to hug you and cry with you. But secondly, I want to very humbly and graciously point you to God’s plan for your life: for your heart, for your journey, for the story He has written just for you. More and more, I am convinced that God’s work is done more in the journey from Point A to B than it ever is in the milestones themselves. When Jordan and I first started trying to conceive, we were reading through the book of Genesis and the story of Abraham and Isaac. Jordan reminded me as we read through that story that as we seek to be parents, we desperately need to be reminded that just as Isaac was not Abraham’s child to do with what he wished, but the Lord’s, we need to move forward with the understanding that our child – and the hopes and dreams that come with wishing for him or her – is God’s alone to do with what He wishes. We are only stewards of this gift, and nothing more. Praise Him that in a world we have absolutely no control over, we know that He is orchestrating every moment. And while I won’t pretend it’s easy, I know it is the only way we can find refuge and hope – I hope that His Spirit fills you with understanding and peace in that. Lastly, at the risk of making this post far too long, I do feel the need to acknowledge that to all of you moms out there who have gone through your pregnancy alone for one reason or another, I admire you more than you know. Jordan has been my rock, serving as two people these past few months as I have been effectively useless. From tending to my sickness to running around everywhere making sure we were fed, chores were done, and all of our social obligations met, I honestly have no idea what I could have done without him. I can’t wait to see him as a dad – he is going to be incredible. All of this is nothing short of incredible. Thank you so much to all of you who have congratulated us and loved us so well in this process – you have felt our joy in the most real way, and we know it takes a loving and beautiful heart to do that. We can’t wait to share more of this journey with you as we eagerly await September!